John Huarte, Founder and CEO, graduated from Notre Dame University and was awarded the Heisman Trophy in 1964 as quarterback of the Fighting Irish. After spending several years as a professional football player, John and his wife, Eileen, opened a small tile store in San Diego in 1977. 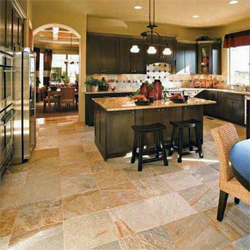 The company has since grown to include more than twenty-five locations in seven western states, with products distributed to both residential and commercial customers.This has led to our importing of more than 230 varieties of granite, marble, limestone, travertine, slate and onyx slabs and tile, making us one of the largest independently-owned importers of stone in the United States. Not only do we stock over 40 series of porcelain and glass tile, our relationships with manufacturers allow us to develop new porcelain and glass tile lines that are only available at Arizona Tile.